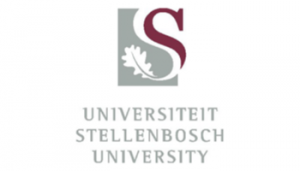 With Stellenbosch University’s Diversity Week still fresh in everyone’s memory, the Department of Electrical and Electronic Engineering is planning how to use its new isiXhosa website in future recruitment drives. According to Thinus Booysen, a senior lecturer in the department, they launched their revamped website late last year to present a more modern and realistic perspective of the exciting work that they are busy with. The initial launch was in English and because the department wanted to ensure that the Afrikaans heritage and nomenclature were not lost, they decided to translate the website into Afrikaans. The final site was made public in the last week of August 2013. “The experience was absolutely exhilarating,” says Booysen. “We have been trying, in various ways, to attract more students with more diverse backgrounds. For example, we have used our department’s Facebook page (http://goo.gl/8tQ2Ir) to interact with around 10 000 mobile phone users. The feedback thus far has been very positive. Booysen expects that many other departments will follow their lead. “More than just being a useful tool for expanding isiXhosa’s vernacular, what this translation has done is to send a very clear signal to prospective students, and to the greater South Africa: No matter who you are or where you are from, you are welcome at our department.